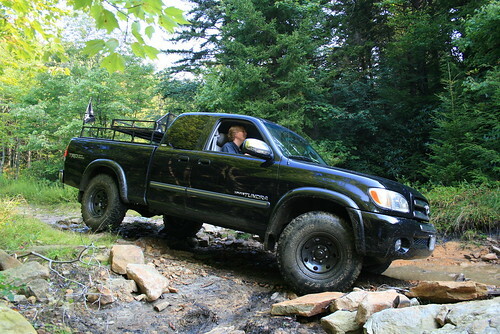 Quick Links: Best site for aftermarket wheels New tires Ridge Grappler Best Price Will a 295/60/20 fit a CW with a 3" leveling kit and stock limited wheels? Tundra Replica TRD PRO Wheels (Ebay) Wheel spacers? Which one does tundras recommend? Discussion in 'Wheels & Tires' started by chris, Mar 10, 2014. I was just curious if any of you Tundra owners out there are running 255/85/16. 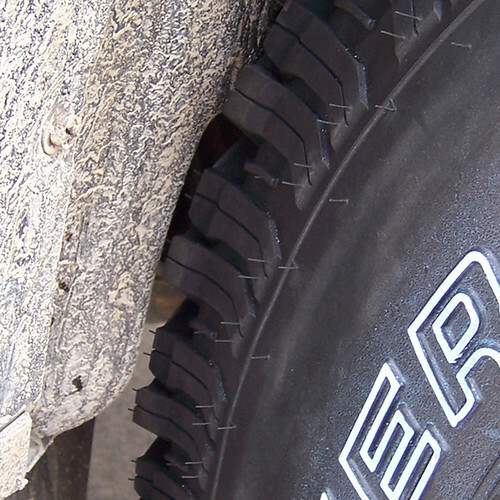 Only curious because I like the look of the tall "pie cutter" tire and wanted to know if anyone had any pictures. Also, with this size what is the minimum amount of lift I could get away with. 265/70/16 is the stock tire size. That's roughly a 30.5" tall tire. The 255/85/16 is a 33" tall tire. Awesome size for the first gen truck. 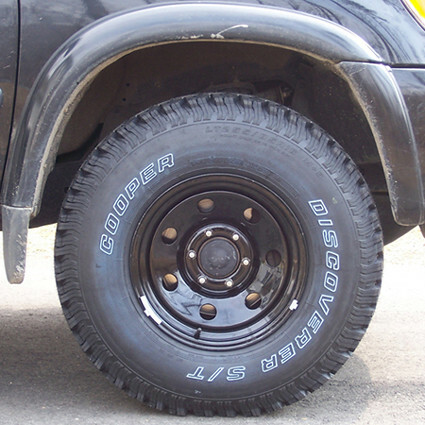 I ran through 2 sets Of Cooper Discoverer ST's on 16x8 black Wheelers steel wheels. I had a 1.5" lift (first as a Daystar puck, then replaced with Donahoe coilovers set to the same 1.5" lift), I flattened the pinch weld to keep from rubbing when the tire stuffed. Hey guys! Just got my first Tundra. It's 2011 CrewCab Max SR5 4x4 and new to the site posting my first post. Needing tires pretty quick and wondering if anyone has put on any 275 or 285/65r18 on theirs and if so if they rub or not and how it looks. Any help is appreciated. I have a 2012 and it came with 255's. They came off the first week and I put on 275's. They fit with absolutely no problem. U could probably fit 285's stock. I have 275s on mine with no problems. I'm looking at some rims from a 2012 Taco to replace a damaged rim on my 06 Tundra. My question is this, will the back spacing from the Taco rims allow the room needed for my Tundra sized rotors and brakes?